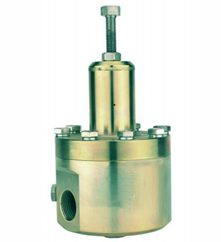 Pressure regulator experts Thompson Valves Ltd offer a wide variety of Spring Loaded Regulators to cover a range of sizes, and inlet and outlet pressures. Fluid Controls works in partnership with Thompson Valves to provide the widest array of Thompson pressure regulators available on the market today. 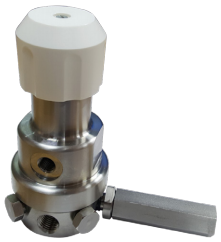 Thompson Valves’ J20 Spring Loaded Regulators are the perfect regulator for gas/liquid and tracking applications, with its ¼” ISO G/NPT port size and brass material. These Thompson regulators have been designed with low to medium applications in mind, offering fast control of outlet pressures at 10 bar. As well as the fast control of outlet pressures, these regulators also promise precise and cost-effective operation due to easy manual adjustments. J45 Spring Loaded Regulators from Thompson Valves are built with a robust design and excellent repeatability. These easy to maintain and install pressure regulators are designed for liquid and gas regulation, with a lockable spring adjuster and maximum inlet pressure of 250 bar. Some of the applications for this range of Thompson regulators include the Marine industries, Gas & Oil industries and many more. J46 Spring Loaded Regulators from Thompson Valves have been built to offer exceptional pressure control and are ideal for low and medium pressure applications. As well as exceptional pressure control, they offer a wide choice of valve sizes for optimal performance with the option for non-relieving or relieving. 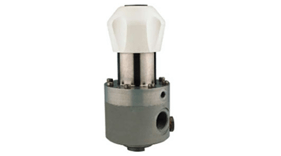 Offering the option to regulate liquid and gas, these Thompson pressure regulators are perfect for gas mixing and chemical processing, to name but a few typical applications. Contact us on +44(0)118 970 2060 or email fluid@fluidcontrols.co.uk for more information about our Thompson Valves Pressure Regulators range.